These wall plates are intelligently designed to manage a diverse range of cabling requirements. The Brush Wall Plates are a simple, yet effective solution to manage a range of audio and video cables while maintaining a slimline form factor. 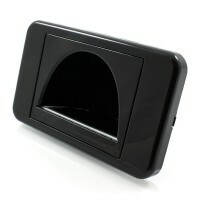 This provides a flush finish which is often an ideal solution to use behind wall mounted TV's. The unique hooded design on the Bullnose Wall Plates will provide a versatile solution to accommodate a diverse range of cables while providing a clean finish. To suit a wide range of home decor, these wall plates are available in black or white. This White Brush Wall Plate makes cable management easy. Accommodates a variety of AV cables and wires to provide a flexible wall plate solution which offers simple installation. The slimline design will suit any home and will provide a discreet finish. 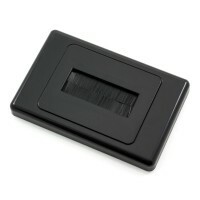 This Black Brush Wall Plate provides the perfect solution to manage internal cabling. The brush entry point will allow virtually any type of cable or wire to enter the room directly from within the wall cavity. The slimline design provides a superb finish. 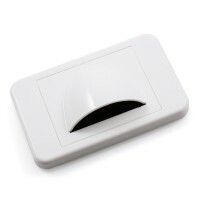 This White Bullnose Wall Plate is a great choice to suit a variety of in wall cabling requirements. The large opening allows for virtually any combination of cables and wires. The brush at the rear will ensure no dust or particles enter from inside the wall cavity. 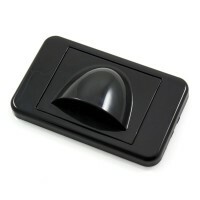 This Black Bullnose Wall Plate has a modern appeal. These wall plates feature a large opening which are perfect to allow multiple cables to be ran through a wall. 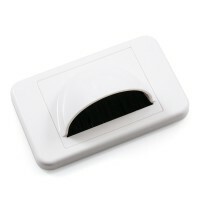 The unique brush design ensures no dust or particles enter the room from inside the wall cavity. This White Reverse Bullnose Wall Plate is perfect behind wall mounted TV's or any other setup requirements that require a wall plate with a flush design. The unique brush design will also ensure that no dust or particles find their way into your entertainment area. 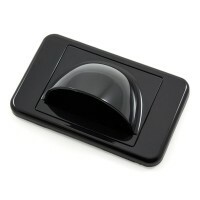 This Black Reverse Bullnose Wall Plate features a flush design to make it an ideal choice for many home theatre setups. The large opening can accomodate a range of cabling requirements, and the brush will prevent any dust or particles entering inside the room. 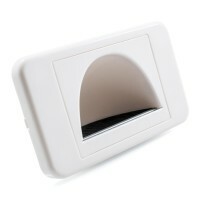 This Slimline Bullnose Wall Plate is perfect for installations where space restrictions may be present. 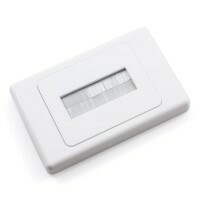 The unique design of this wall plate features an internal dome with ample room for a number of cables, while at the same time maintaining a low profile form factor. The low profile design of this Slimline Bullnose Wall Plate makes it the perfect choice to manage a range of cables in a tight space. Equipped with a bristle brush at the rear to prevent unwanted particles entering the room, this wall plate is the ideal cable management solution.